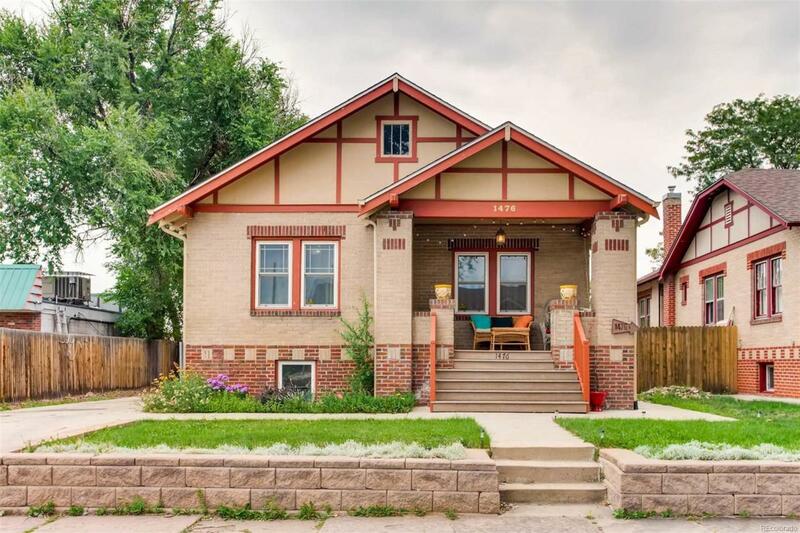 Charming bungalow in HOT neighborhood. Comfortable front porch, gorgeous hardwood floors, updated kitchen(s) with new granite countertops. Separate side entrance leads to finished basement with it's own kitchen and separate laundry, living room, bathroom and 2 bedrooms- perfect for multi generational living or rental (has been a successful airbnb for owners). Dual alley access to huge 3 car garage, perfect for vehicles, storage, toys or workshop, an additional long driveway off the front of house. Location, location! Blocks to W-Line light rail, Sloan's Lake, Restaurants and Breweries. Minutes to downtown and Stadium. Home is being sold strictly "as-is"